Were you blessed with a family meatball recipe handed down through the generations, or have you struggled to perfect the meatballs at your pizzeria? 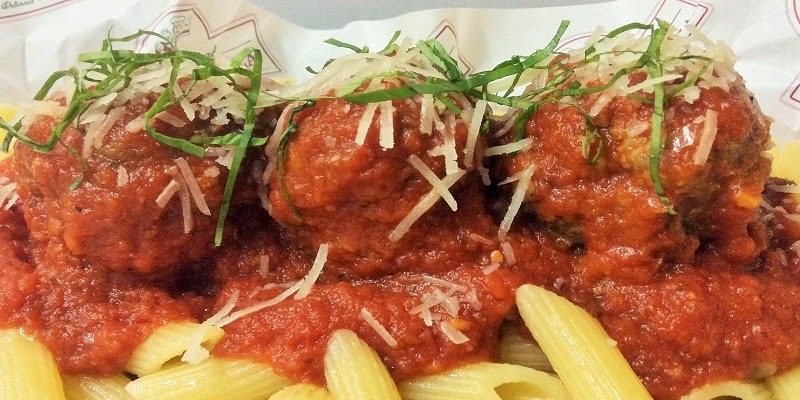 Many pizzeria operators find it difficult to create a meatball that's consistently moist without being wet, while at the same time being firm, but not dense. In the December 2014 issue of PMQ Pizza Magazine, I interviewed several pizzeria operators to get their feedback on what makes a great meatball. There was an array of opinions when it came to ingredients. One chef in Chicago said that he soaks breadcrumbs in milk and adds eggs, garlic, Grana Padano, a little butter, chopped herbs, and then hand-mixes a combination of veal and pork in with all of the wet ingredients to thoroughly incorporate everything. Several other chefs stuck by the use of beef in their meatballs. One chef, Andrew Bellucci, who helped to reopen Lombardi’s Pizza in 1994 and is now the group executive chef for Mikey's Original New York Pizza in Kuala Lumpur, Malaysia, has such a passion for the dish that he told me, “If I was going to the electric chair and had to request a last meal, it would be macaroni and meatballs.” It's for this reason that I'm sharing his recipe with you below--one that he says his family has used for generations. Grind together the brisket, ribeye, shortribs, parsley and oregano. Heat up a sauté pan with extra virgin olive oil. When the oil is hot and beginning to smoke, add onions, garlic, salt and pepper. Cook over medium flame for about 5 minutes or until the mixture is translucent. Remove from pan and pour over the meat mixture in a large mixing bowl. Add the Pecorino Romano Cheese and Panko breadcrumbs. Add the eggs, already well-beaten, over the mixture and get ready to blend together. Get a stockpot with marinara sauce ready. For 30 meatballs, fill a 4-quart stockpot halfway with marinara or your favorite tomato-based sauce. Place the pot over a low-medium flame and proceed with mixing the meatballs. The mixing method is very important. Form four-fingered "hooks" with your two hands and blend all the ingredients together as lightly as possible. The idea is to keep the meat mixture light and airy and not "pack" the meatball densely. Once the meatball mixture is evenly mixed, it's time to form the meatballs. Each meatball should weigh 50 grams (use a scale if you have one). After you've formed your 30 meatballs, heat up a sauté pan and coat the bottom of the pan generously with extra virgin olive oil. Once the oil is hot, add the meatballs, in as many batches as it takes, depending on the size of your pan. This step requires constant attention. You'll be cooking each meatball like it has four sides, approximately 90 seconds per side or until a light-medium brown crust is formed. As each meatball's crust is formed, transfer the meatball into the marinara-filled stockpot, which should be bubbling by now. After all of the meatballs are in the pot, watch as the pot comes to a simmer/boil and turn down the flame so that the sauce emits a "bubble" every couple of seconds. The meatballs will be ready to serve and fully cooked after about one hour of braising, but I like to cook them for two hours so that they almost fall apart under any type of pressure (the fork or tooth type of pressure). Serve right away or transfer to a plastic container; let cool to room temperature, cover and store in the refrigerator for up to a week.